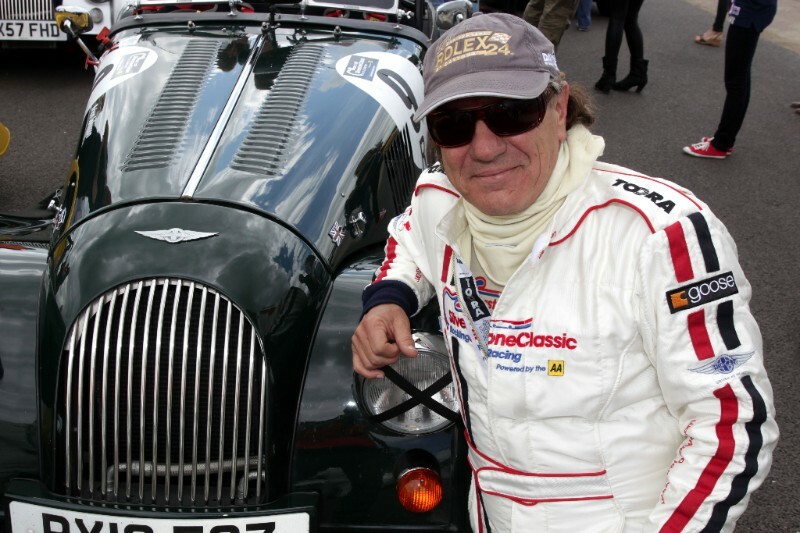 World and Olympic champions, chart-topping musicians, best-selling authors and familiar figures from TV and radio will all be on the star-studded grid for the inaugural Celebrity Challenge Trophy Race at this month’s eagerly-anticipated Silverstone Classic (28-30 July). The stellar big-name line-up features no fewer than five gold medal-winning athletes. These are topped by Jason Kenny CBE who, along with fellow track cyclist Sir Chris Hoy, is Britain’s most successful Olympian having amassed no fewer than six gold medals. 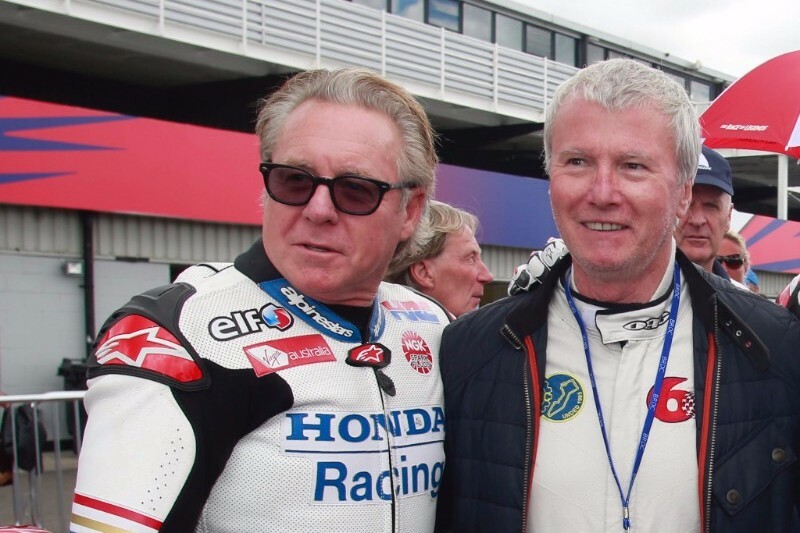 Other standout sportsmen revving up at Silverstone include 500cc World Motorcycle Champions Wayne Gardner and ‘Fast’ Freddie Spencer plus three-time boxing World Champion, Carl Froch. Famous musicians are out in force, too – notably Howard Donald from chart-toppers Take That and Brian Johnson, who fronted rock legends AC/DC for over 35 years. 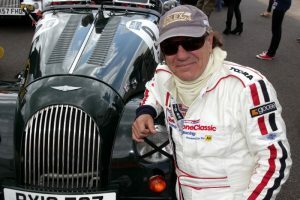 Crime writer Peter James is another best-seller on the grid alongside a host of TV personalities including Ant Anstead (Wheeler Dealers), Tiff Needell (ex-BBC Top Gear) and Theo Paphitis (Dragons’ Den). 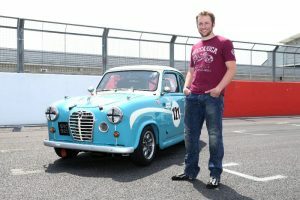 In keeping with the event’s prominence as the world’s biggest classic motor racing festival, these luminaries will all be racing flat-out in an evocative field of Austin A30 and A35 saloons from the late fifties. The cars have been kindly provided by members of the HRDC (Historic Racing Drivers Club) Academy who have their own race on the Sunday of the event. Celebrities have been split into five teams representing their professions, and each team will be mentored by a renowned racing driver. Three of these are former F1 aces – Mark Blundell, Martin Donnelly and Rupert Keegan – the other two are touring car heroes: Anthony Reid and Steve Soper. 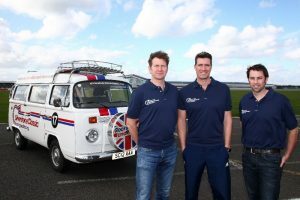 The celebrities and their team leaders will qualify and race on Saturday, and have the opportunity of winning the charity prize fund of £10,000 for the event’s official charity, Prostate Cancer UK.